Antioxidant In Red Wine Cancels Out Benefits Of Exercise; Is There Such A Thing As Too Many Antioxidants? A glass of red wine to accompany your meal, to celebrate an occasion, or to unwind after a long day of work seems like a heart-healthy idea — especially since resveratrol, the antioxidant found in wine, has been raved about in the scientific community. The red wine antioxidant has been linked to a protective effect on the blood vessels while it reduces the bad cholesterol and prevents blood clots, says Mayo Clinic. 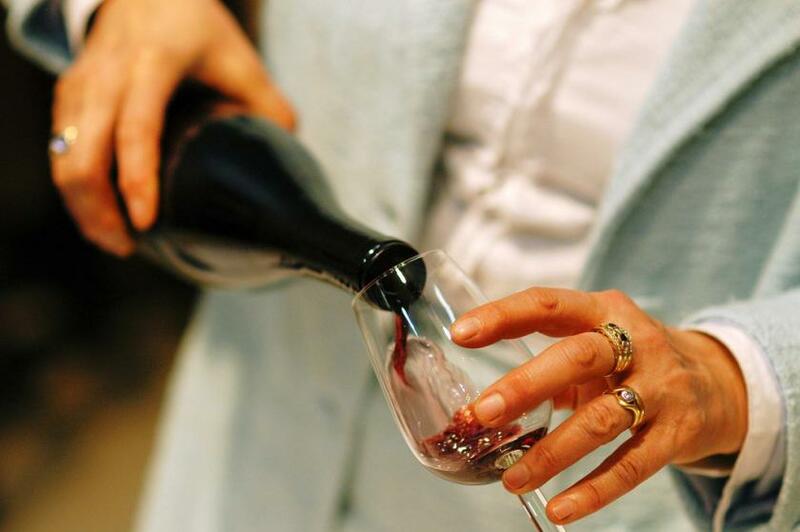 While moderate alcohol consumption of red wine has been linked to a 20- to 30-percent decrease in heart disease, the miracle ingredient can also undo the effects of cardiovascular exercise in older men. In a study published in The Journal of Physiology, researchers found that consumption of resveratrol can cancel the benefits of exercise in a two-month long program. Before you decide to put your glass of wine down, learn if high doses of the antioxidant can actually be detrimental to your health. Researchers at the University of Copenhagen followed 27 men with a mean age of 65 who were in good health for eight weeks, or two months. The participants of the study were all part of the two-month long, high-intensity exercise program. Half of the men took 250 milligrams of resveratrol daily, while the other half took a placebo pill. The results of the study showed that a high-intensity exercise regimen in combination with the miracle red wine pills — resveratrol supplements — vanished the effects of exercising on the body. The men who took the placebo pill and just did exercise, conversely, experienced lower levels of blood pressure and bad cholesterol, generally lowering blood fats that can harm the body. "We found that exercise training was highly effective in improving cardiovascular health parameters, but resveratrol supplementation attenuated the positive effects of training on several parameters, including blood pressure, plasma lipid concentrations and maximal oxygen uptake," said Lasse Gilemann, one of the study's researchers. The findings suggest that while the red wine antioxidant is associated with numerous heart health benefits, it can just as easily undo cardiovascular exercise benefits in men. The red wine pills — resveratrol supplements — are a potent antioxidant that not only supports the immune system but also improves cardiovascular health. The pill's ability to eliminate the free radicals in the body is what gives this antioxidant its name, the "anti-aging antidote." In vitro and animal studies have shown that resveratrol can prevent and repair damage done to cells in the body as it inhibits the spread of cancer cells regardless of any stage, but its effectiveness has yet to be tested on humans. While it slows down aging of the cells and allows you to look younger and live longer, a high dose of the antioxidant can undo the effects of exercise. When you do high-intensity exercises, your body produces free radicals due to the oxidative stress — the disruption in the balance between free radicals and antioxidant defenses, says the National Center for Biotechnology Information. The disruption of the cells is what leads to aging and cancer. However, the researchers of the Danish study believe that taking resveratrol supplements after a workout can eliminate the free radicals that your body may actually need in order to recover. According to Mayo Clinic, exercise can help make your heart stronger and therefore decrease pressure on your arteries, which will lower your blood pressure — but these effects are cancelled out by reservatrol supplements. While the participants of the study were physically inactive men with an average age of 65, scientists remain confident that the results of the study will extend to men below 65 and women as well. For red wine lovers, the dose of resveratrol in a glass of wine does not undo the effects of exercise. Daily consumption of red wine, red grapes, blueberries, and pistachios are all natural ways to intake the antioxidant without risking your exercise regimen. Harvard Medical School recommends to get your daily intake of resveratrol from food or wine and to avoid the supplement. Reservatrol supplements contain high doses of the antioxidant that can have negative effects on your immune system as found in the Danish study. The participants took 250 mg trans resveratrol supplements, which is higher than the 1.5 mg amount of resveratrol found in a glass of red wine — approximately 100 times higher. In the end, natural is better, and who doesn't like picking up a glass of wine more than a popping a pill? Lasse Gliemann, Jakob Friis Schmidt, Jesper Olesen, Rasmus Sjørup Biensø et al. Resveratrol Blunts the Positive Effects of Exercise Training on Cardiovascular Health in Aged Men. Journal of Cellular Physiology. 2013. Lu, R. and Serrero, G. Resveratrol, a natural product derived from grape, exhibits antiestrogenic activity and inhibits the growth of human breast cancer cells. Journal of Cellular Physiology. 1999. Sengottuvelan M, Nalini N. Dietary supplementation of resveratrol suppresses colonic tumour incidence in 1,2-dimethylhydrazine-treated rats by modulating biotransforming enzymes and aberrant crypt foci development. The British Journal of Nutrition. 2006.